This course is specially developed for trekkers and climbers who want to combine learning of new skills and exploring new destination and culture. 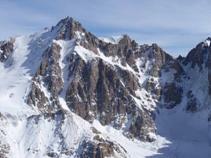 Interpretation of alpine conditions and weather. Being located on 3300m in Ala-Archa Gorge in North Tien-Shan mountains, Ak-Sai Glacier is one of the most popular and spectacular places for mountaineering and climbing. 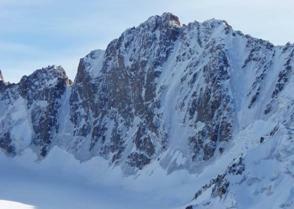 About 150 routes from the simplest to the most complicated walls lifting up to 1100 m have been travelled there. 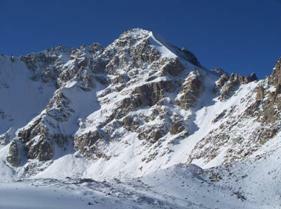 The summits lift up to the altitude of 4895 m (the highest point of the range is Semenov Tien-Shanskyi Peak). 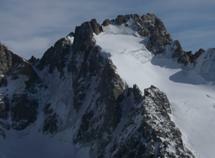 Routes are mainly combined and rock, rarely ice and snow-ice. 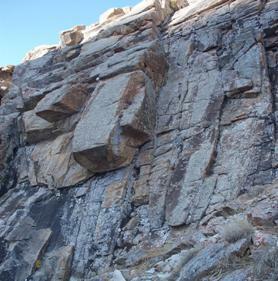 The rocks consist of tough granite and granodiorite. The difference of altitude is till 1100 m. The difference of altitude is up to 1100 m.
The amount of precipitation attains 690 mm p/a. The least amount of precipitation falls in September while the largest one is in May and June. The average temperature is +12°C in spring, -7°C in winter, and +30°C in summer. 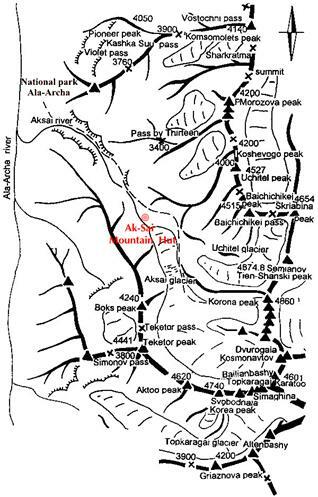 Suggested summits to climb for beginners: Uchitel Peak 4550 m (1B), Box Peak 4250 m (2A), Teke-Tor Peak 4441 m (2A), Izyskatel Peak 4400 (2A). 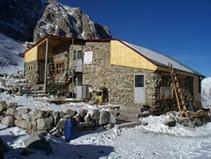 For technical skills training there are rock walls near Ak-Sai Hut. 9 Trek down to the Nature Park, transfer back to Bishkek. Use of sat phone in Ak-Sai Mountain Hut is free of charge, cost of calls and sms only are paid: 3 EUR per minute, 1 EUR per sms. 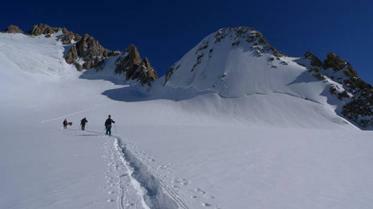 1) Group members provide personal mountaineering gear for training by themselves. 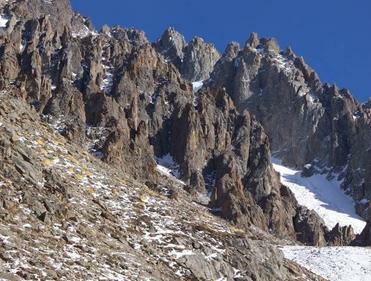 2) Mountaineering outfit can be sent to Bishkek in advance, ITMC can assist with customs clearance. 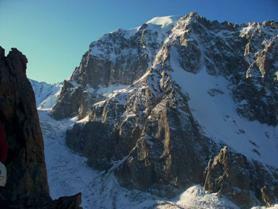 3) Climbers must have medical insurance with a minimum coverage of 30 000 EUR.